The Florence Leather 3 Seater Sofa is a striking designer piece that adds warmth and character to any interior. The high quality American leather is designed to improve with age, gaining softness and character with extended use. Like every leather product, each piece has unique markings that highlight the natural quality. Pure leather is a premium natural product, meaning it will display normal characteristics such as colour variations, marks, scratches and scuffs. 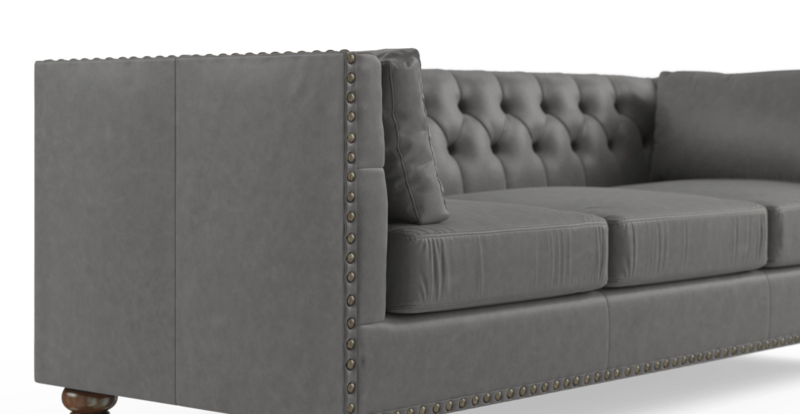 Diamond tufted detailing and brass studs adorn the Florence, adding a unique and stylish edge. The leather has been meticulously sanded, flattened, softened and treated ensuring quality that is second to none. See the rest of the leather and non-leather pieces from the Florence Collection here. Available in three warm shades, the leather of the Florence is easy to maintain - simply wipe it down with a clean damp cloth to keep the piece looking fresh and new. The leather is designed to grow softer over time and the dye is fixed to prevent running and staining, making it suitable for extended everyday use. See a wider range of designer sofas from Brosa. 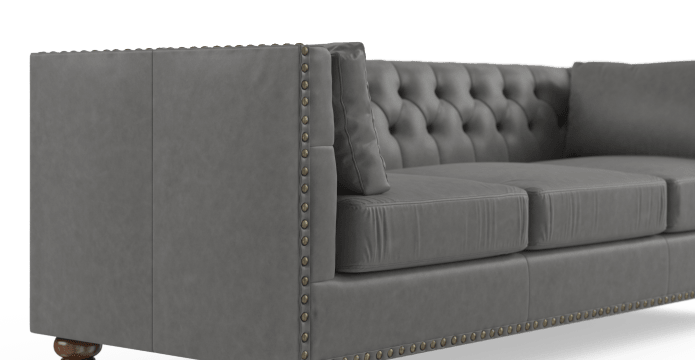 A plush foam filling makes the Florence ideal for curling up and relaxing, while matching cushions come with the piece and add comfort as well as style. The leather has been finished with a wax oil combination, which enhances and protects the colour and quality. How high is the backrest? See, touch and feel our fabrics used on our Florence Leather 3 Seater Sofa. For Free! Simply select up to 3 fabrics and add them to your cart. Delivery is on us.